I'm a husband, father, pastor, Michigan fan, and writer. 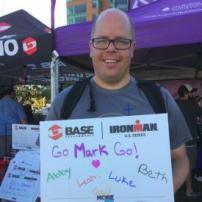 I once completed an Ironman Triathlon as the last recognized finisher (I waffle between sharing this fact and concealing it on a pretty regular basis). In my spare time I'm working on a doctoral degree. I like to write about sports, religion, and the occasional pop culture story. Donald Trump's tweets make me laugh and cry. Coach Harbaugh, it's your turn.